We were very skeptical that the Looj would be able to get our gutters anything close to clean. Household robotic machines, after all, are best at routine tasks like making your coffee or grinding your beans to put into the coffee maker. Cleaning gutters is anything but predictable. There aren’t only loose leaves up there but packed pine needles, twigs, rodents (both alive and not), sticks, mud, Frisbees and an old set of our car keys. 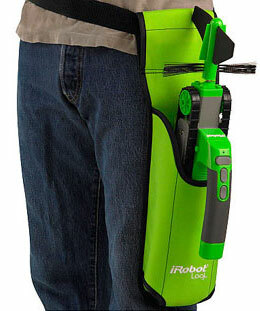 Enter the Looj from iRobot. The Looj is a miniature light-weight tank-like device fronted by a bristle capable of rotating at 500 RPM. The Looj’s handle doubles as the remote control. 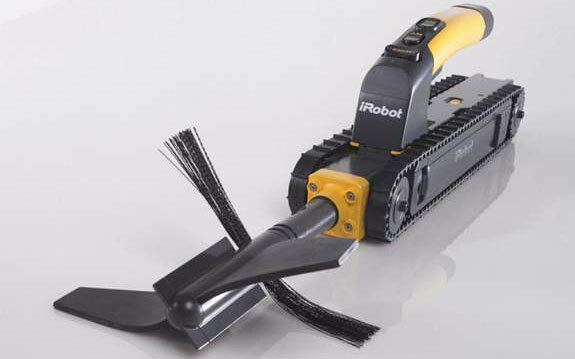 So cleaning your gutters is, theoretically, simply a matter of climbing up a ladder to your roof (the Looj comes with a belt clip so you can use both hands to climb), placing the device in the gutter, detaching the handle and using the remote control to send your Looj back and forth. This is also how it worked for us in reality — mostly. 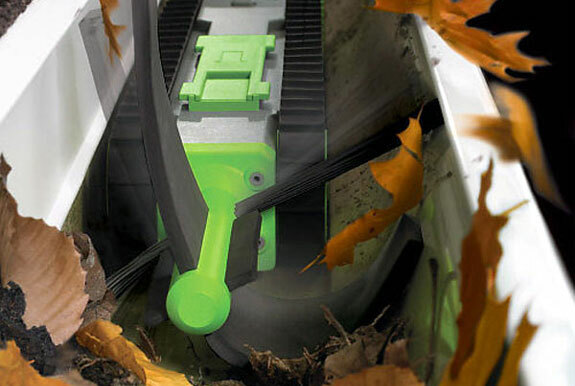 The Looj is excellent at clearing gutters of all matter of loose debris. We found that the Looj had a harder time completely cleaning out anything that was packed down, especially mud. It did clear out some of the our packed mud, enough to allow for the free flow of water (which is the point of cleaning the gutters, no? ), but not as much as we would have doing the job by hand. Which is not to say that the Looj is not worth the money. We think it is, and then some! Using the Looj is much faster than cleaning by hand, to say nothing of easier. If some of your gutters are out of easy ladder reach the Looj makes for a much less expensive alternative to hiring a professional company. 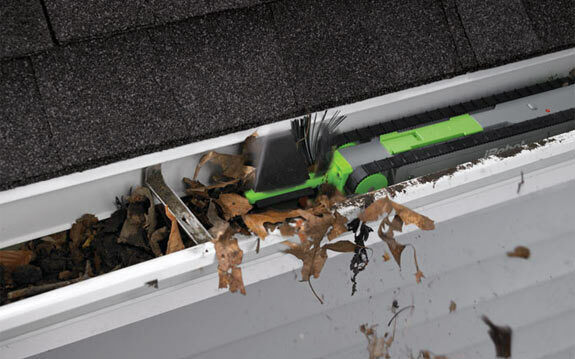 However, Looj owners should be prepared to clear their gutters a little more often than they would do by hand, often enough to prevent much from getting packed down to begin with. Now if only they’d back a robot to clean our windows. « Today, Touchable Holograms. Next, a Holodeck? There I was I thinking that my Guttervac is high tech! Does it work in water too? If they added a camera so it could be operated from ground level then I might be tempted.